One of our greatest strengths has been our reliance on advanced technology. At our hubs, we have fully computerized operation, Hi-tech scanning equipment, High-speed Internet connections; etc. leading to efficient streamlined operations. For our valued customers this translates into safety of consignment, in-time delivery of packages every time and of course, peace of mind. 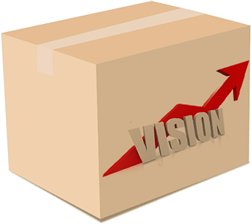 Our vision is to see farther, to seek out competitive advantages for our clients through the innovative use of technology; and to help them achieve long-term success and prosperity. 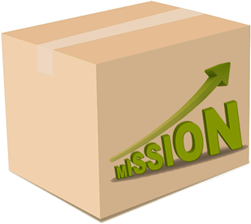 Our singular objective is to provide international standard Courier and Cargo services and satisfaction regardless of the type of product or service offered. To become the most trusted name in field of courier and cargo based in India while maintaining the international standard. We at Jumbo understand needs and requirements of our customer and use our extensive networks expertise to deliver a rapidly growing needs of business and thus realize your full potential. Jumbo Courier And Cargo has created adequate and modern infrastructure to support its vast network across the country. The company runs a fleet of self controlled vehicles to create efficiency in intra-city and intra-zone movement of load. The load processing centers are fully equipped with latest tools in IT Technology to maintain constant watch over the operations. Jumbo Courier And Cargo fully exploits the technology to support its operations and other activities. The multiple use of scanners to manifest and record the movement of each and every shipment that passes through its network helps to create a successful Trace and Track facility in the system. Passionate leaders committed to growth of the company. Management personnel to manage the day to day affairs and to provide strategic direction to the company. A highly dedicated and strong force of workers, directly or indirectly, ensures the smooth execution of the operations at the grass root level.